TripAdvisor shipped its first native mobile application in 2011, when mobile made up just a fraction of the travel brand's overall traffic. Whether or not the mobile team knew it at the time, the navigation they built then for the iPhone would stay exactly the same for the next five years. It would also be carried over to iPad and Android. Before we began this project, it was a given that the nav wasn’t working; it relied on a linear, forward/back configuration that made deep-linking a nightmare. Users could accidentally bury themselves dozens of levels down in the app with no easy way to surface again. When the chance arose in early 2016, we jumped at the opportunity to propose an alternative. We would need to audit the app's navigational skeleton as well as its entire information architecture—no small task. 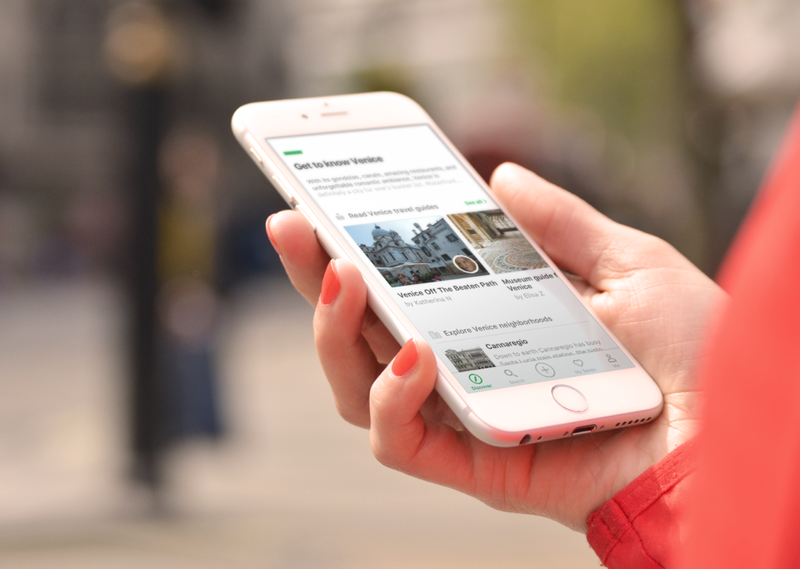 In addition to its core hotels business, TripAdvisor offers information on restaurants, attractions, vacation rentals, flights, forums, travel guides, city neighborhoods... the list goes on. We would also need to consider TripAdvisor’s global scale. With over 250 million downloads and 13 million weekly active users, Trip is one of the most popular mobile travel apps in the world. We couldn’t afford to mess it up! We spent our first few weeks talking with travelers. We wanted to learn where the TripAdvisor app was already succeeding and where it was failing our users. We also wanted to piece together the timeline of a typical trip and understand users' mentalities at each stage. This would ensure that we supported the app's most common use cases. We audited the competitive landscape as well so that we could observe how other brands were solving their own navigation challenges. We noticed that many Android apps used a navigation drawer, and many iOS apps used a tab bar. Along the way, we sketched out different navigation options to make sure that we documented our thinking. After the initial user research, we discussed our findings with internal stakeholders to make sure that we accounted for the relevant business goals. We then narrowed down to five core app use cases, based on what our users would most commonly want to do with the app: 1) Search & discover; 2) Save & retrieve trip plans; 3) Tell a trip story; 4) Track where s/he has been; 5) Access settings. Given the complexity of TripAdvisor's product suite and app functionality, we could not limit ourselves to just one or two use cases, as other apps are able to do. We needed to structure the app in a way that would support each of these five use cases equally. The five core use cases naturally led us to the navigational architecture we would use: a classic iOS tab bar. After we had partially committed to the tab bar, we needed to start exploring our UI options and circulating the concept for feedback. We scheduled UX reviews with designers at Apple and Google to ask platform-specific questions and help validate our hypotheses before committing to MVPs. We also thought more critically about an Android solution. * At the time, tab bars were not nearly as common on Android apps—though they started appearing more often as we worked on the project. We considered a tab bar, a navigation drawer, even a tab bar and navigation drawer together. In the end, we actually went with the latter option. A tab bar could showcase four of our core use cases while a navigation drawer could house the users' profile and application information, in typical Android structure. Below you will see an overview of how the interface evolved over a few months. We were thrilled to see that both of our Android and iOS apps maintained their 4.5+ star ratings after we shipped these major updates. We had not broken anything or pissed any of our users off, which were huge wins in themselves. Metrics indicated success on both platforms as well. The tab bars did exactly what we hoped they would do—they exposed areas of the app that previously had super low engagement, such as Saves (+272% engagement on iOS), Timeline (+294% engagement on iOS), and Write a Review (+3% submitted reviews on iOS). Average revenue per daily unique user went up 6% on Android and stayed flat on iOS.